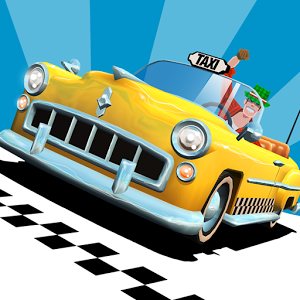 Do you remember going to the arcade as a kid (... or an adult) and playing Crazy Taxi? The awesome soundtrack, the absurd physics? The almost unbelievable number of taxi drivers with unbuttoned shirts? Those were the good old days, and you paid for them - maybe $0.50 a pop for a ride in the Crazy Taxi seat. 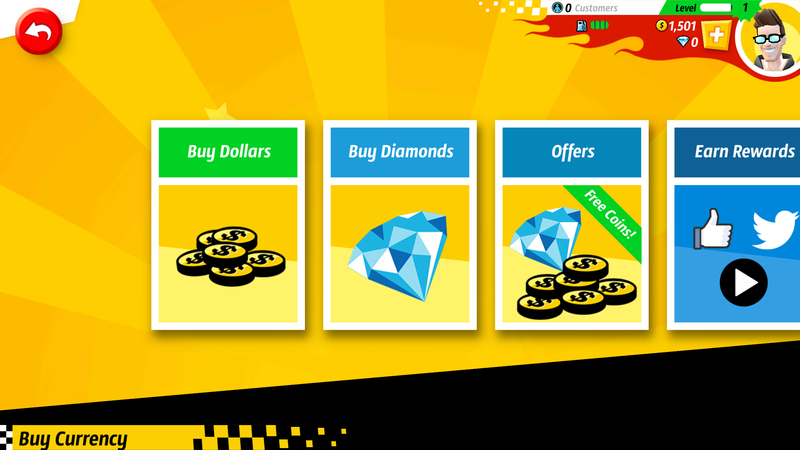 Well, if you liked paying for Crazy Taxi by the minute then, you'll love paying for it on a regular basis now! 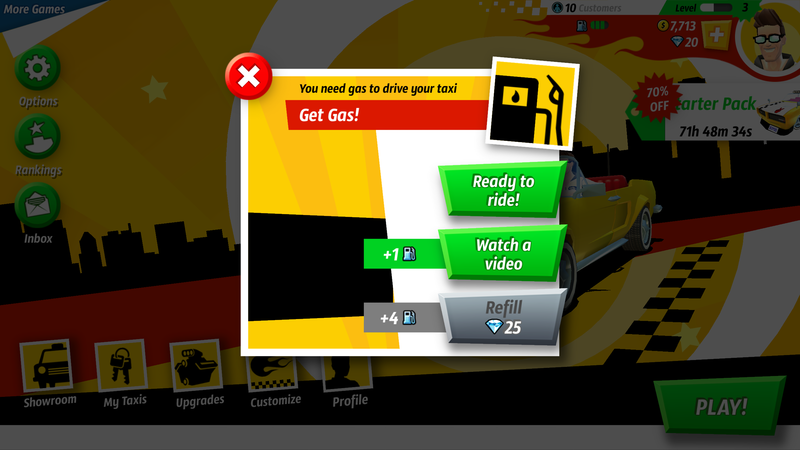 Crazy Taxi City Rush is out for Android, and the fares are downright freemium. Crazy Taxi City Rush is a blatant bastardization of a cultishly beloved franchise into a pay-to-play atrocity, and you should be upset. Why? Because Sega used to do things people liked. Like Genesis. And Saturn. And Sega CD (OK Sega CD kinda sucked). And Dreamcast. Classics like Sonic, Phantasy Star, After Burner, Shinobi, Virtua Fighter, House of the Dead, Shenmue, Super Monkey Ball, and a host of others - Sega is, frankly, one of the most prolific, and prolifically awesome, game studios on earth. Or, it was. Sega's mobile division is basically just an intellectual property clearing house at this point, and despite starting off with good intentions, offering games at full sticker price and without in-app purchases (other than for expanded content or worlds), it's taken a turn for the worse. Like so many game studios, the dark side - the free-to-play side - soon seduced it. Pictured: not a Sega Mobile executive. Crazy Taxi: City Rush isn't a terrible game. It's just a really, really sad one. 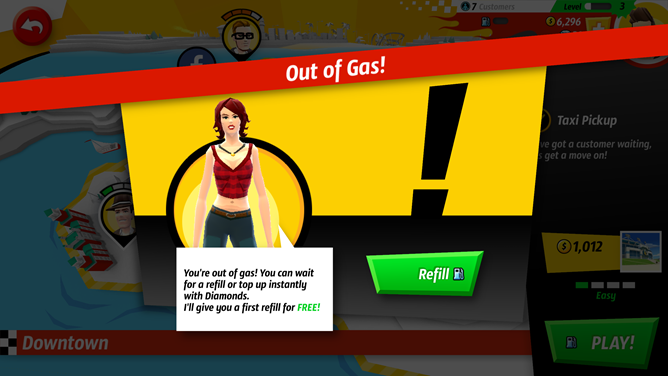 You have a gas gauge for your taxi that has to be replenished every four rides (for 25 Diamonds of course, or 1/4 of the gauge for watching a terrible ad). There are poorly-formatted interstitial ads. A veritable cornucopia of car upgrades and "bling" that you must keep up with in order to keep your car capable of completing missions of ever-increasing difficulty. You can shill out your personal information and dignity for free diamonds to advertisers and services. There are timer-based events. Stickers. There are stickers. ugh. Sega, of course, wants you hooked on the G-juice. Your first fillup is free. 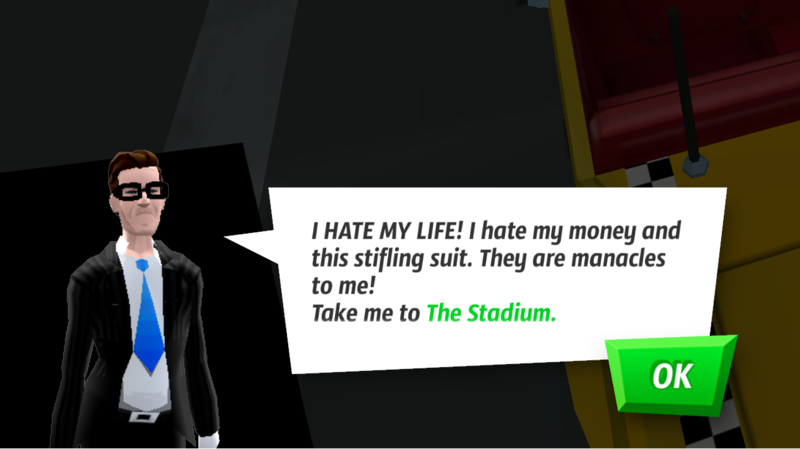 Altogether, City Rush really is just a sad amalgam of all the free-to-play / freemium tropes in the mobile gaming universe taken to their logical, soul-crushing ends designed to deprive parents and would-be compulsive gamblers of their bank account balances through a never-ending and positively vampiric series of microtransactions. Dignity or dollars: you decide. You can download it on the Play Store. I won't tell anyone. I did, just to write this article. I'm probably going to play it a little more tonight. My conscience will be deeply and profoundly scarred. But at least I'll have the level 4 tire upgrade.